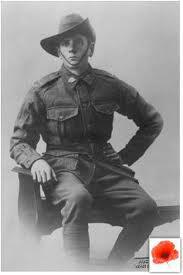 Australian Sapper Carl Eliasson enlisted on the 20th June 1916. Australian Sapper Carl Eliasson enlisted on the 20th of June 1916. His enlistment papers reveal that he was a telegraphist from Freemantle, Australia, was 23 years old on enlistment, 5ft. 5 with a fresh complexion, blue eyes and brown hair. He embarked on board HMAT Persic on the 29th December 1916, and served on the Western Front. His service records show that he had leave in England for two weeks in March 1918. Just one month before the end of the war, Carl Eliasson suffered gas poisoning at Beugny in France and was sent back to England. He arrived at The Beaufort War Hospital on the 20th October and died just five days later at 1.45 pm on the 24th. He was buried at Arnos Vale Cemetery in Bristol on the 31st October 1918 on consecrated ground in an unnumbered grave.